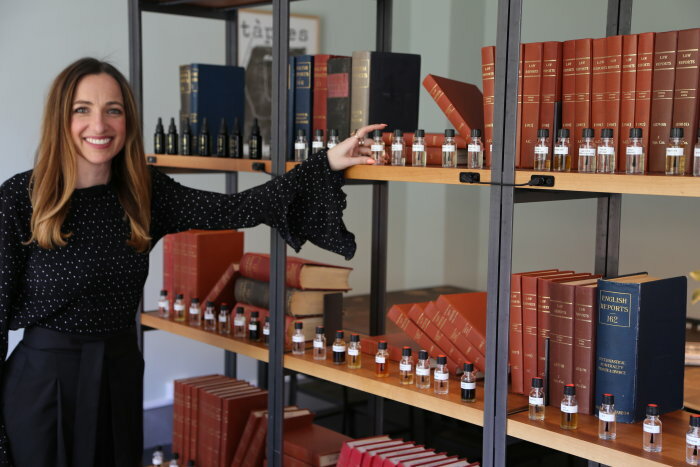 Why not design a New Generation Fragrance? Join our waiting list to be notified when tickets become available. Done! You are on the waiting list. Come on a sensory journey and discover, play and create with us over an hour and a half. You'll leave with a new generation fragrance, luxury-crafted, uniquely you. Over 50 naturally derived top and middle notes, the highest quality essential oils, resins, isolates and compounded natural isolates in the world. We say no to parabens, glycols, petrochemicals or synthetics. Enjoy time learning a blending technique and learning how to critique your own designs. This is the part that's really different to other workshops you might attend, you have complete creative freedom. Tap into your inner child and connect with like-minded people over Scent Soul and Science. This part is serious fun, as you need to concentrate and figure out how to scale your design. Expect to act mindfully here and forget about all your worries as you concentrate on your provided perfumery equipment and bottling your design. Access to a sensory lab of over 50 natural essences, 19 Flower Essences & 14 Scientific Terpene Blends - we have Australasian Botanicals too! You select 3 scent vials (12ml) of your favourite essences and take home a roll-on 10mL Eau de Toilette.